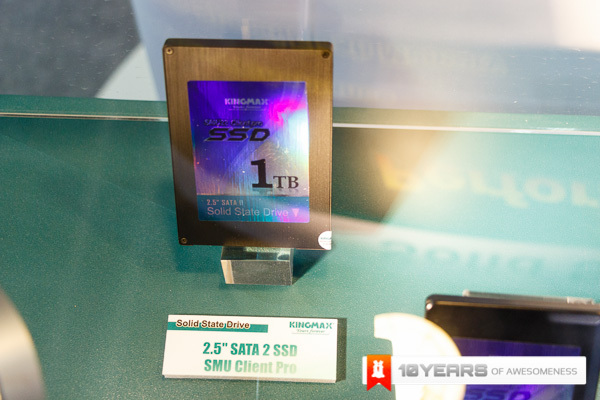 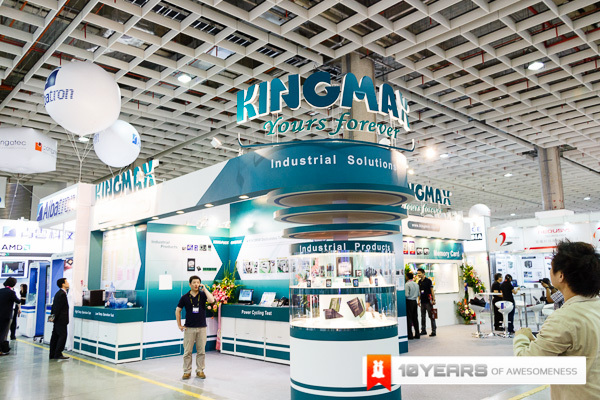 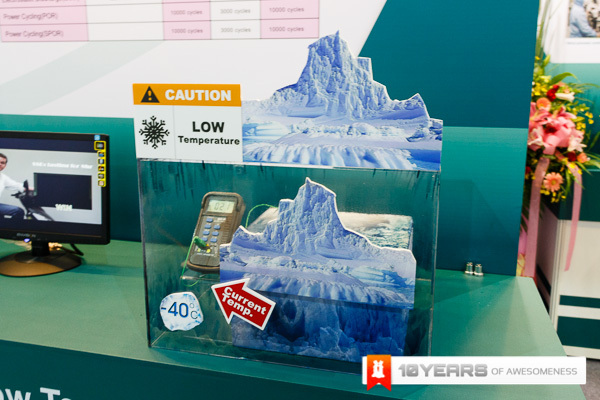 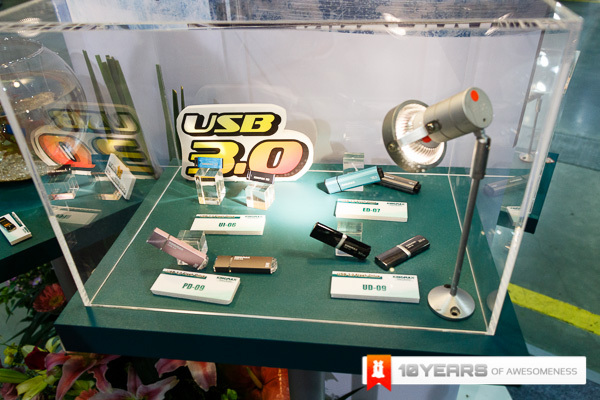 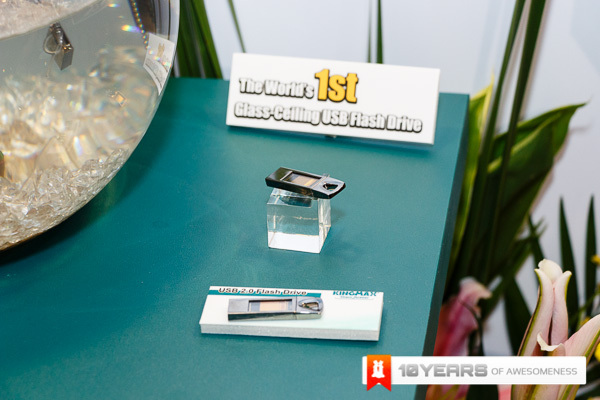 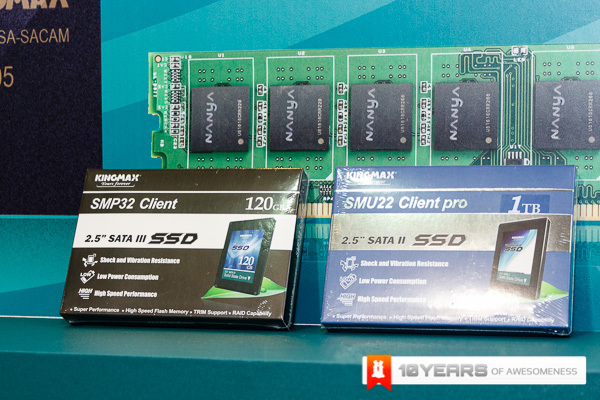 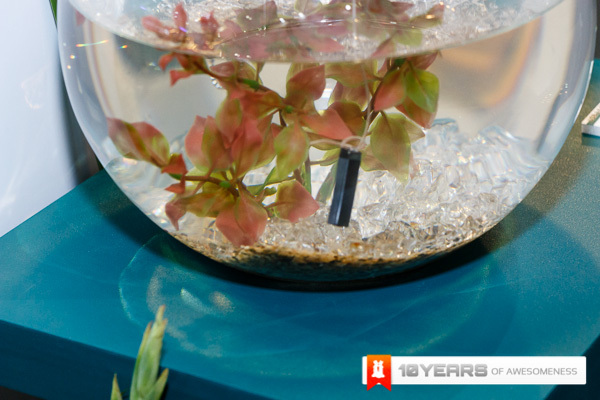 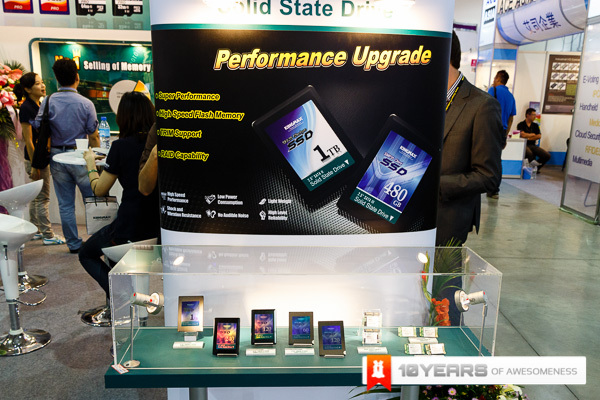 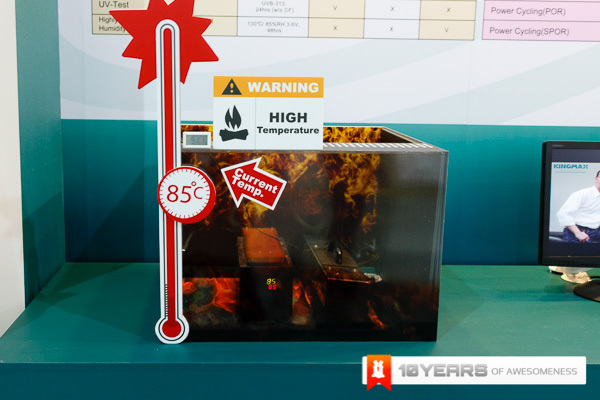 The 3rd Part of our booth showcase comes from the memory guys Kingmax. 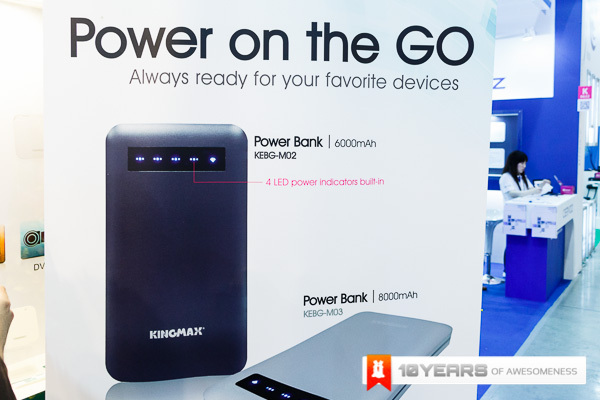 Kingmax has always been one of those names that has been around when you talk about memory and this Computex, as with most other brands around, they have branched out to portable battery packs and they have done so in a big way. 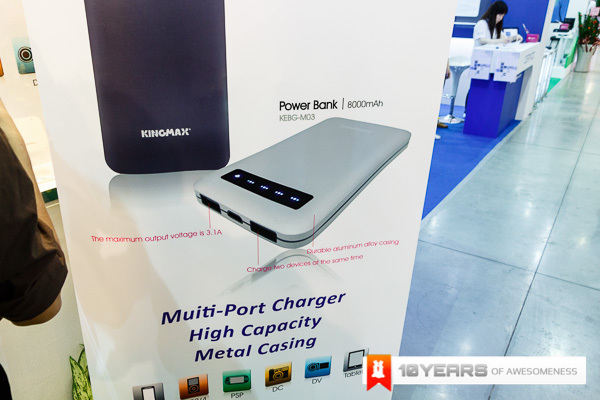 With the incredibly slim and well built KEBG-M02 and M03 that pack 6000mAh and 8000mAh respectively, they have a durable aluminium casing with a great brushed finish as well as the ability to charge 2 devices simultaneously. 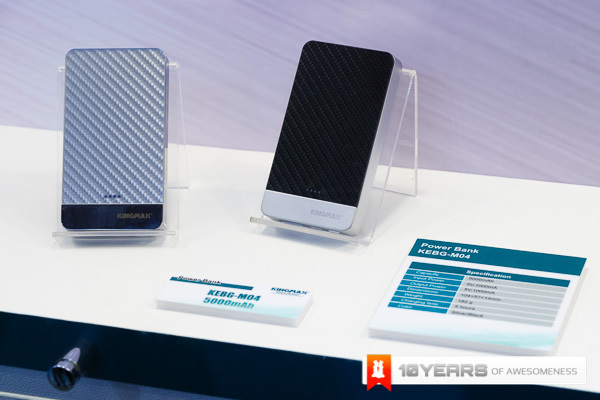 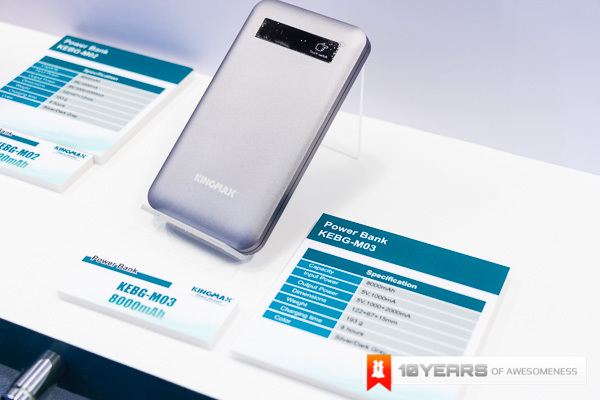 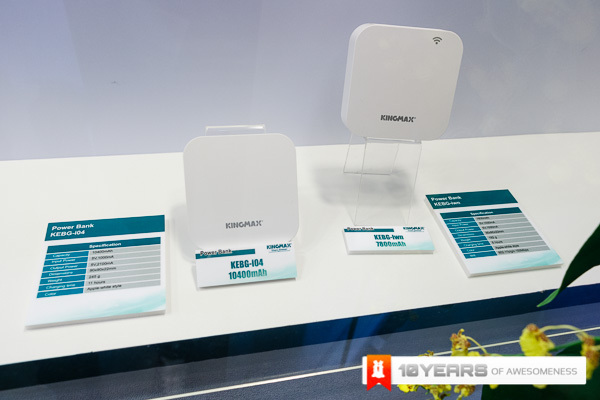 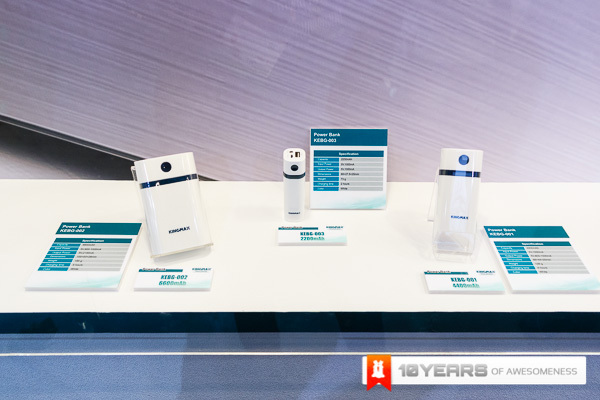 Kingmax also have the KEBG-I04 which is even bigger at 10,400mAh and doubles as a wireless device as well! 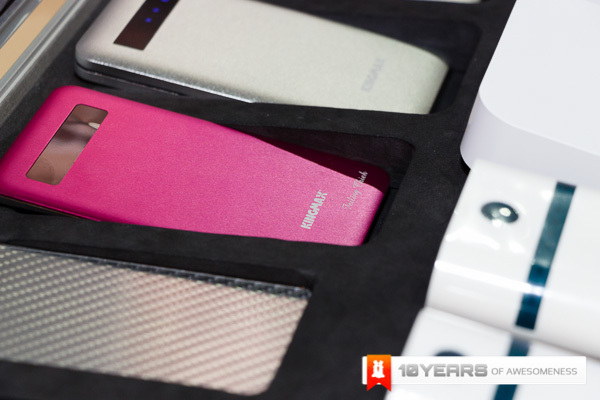 Along with these few devices, Kingmax have released a whole host of different powerbanks for everyone. 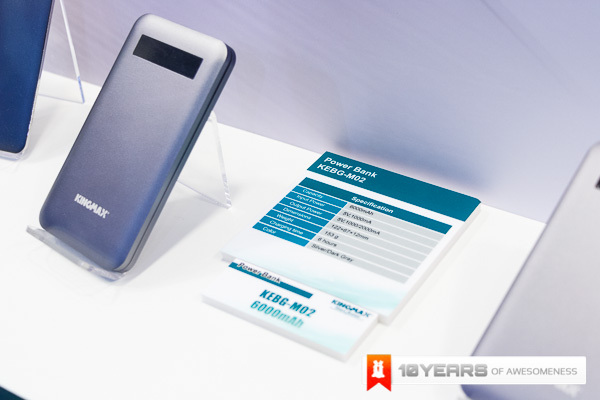 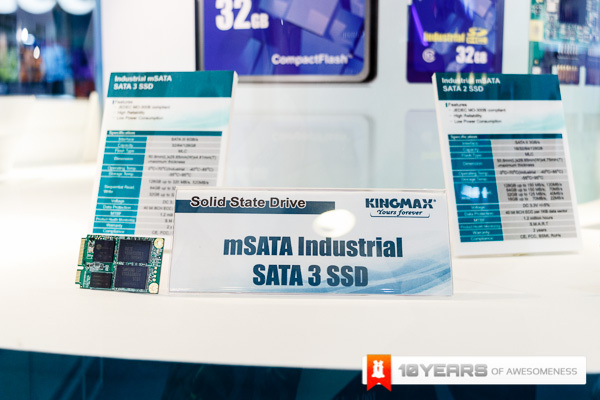 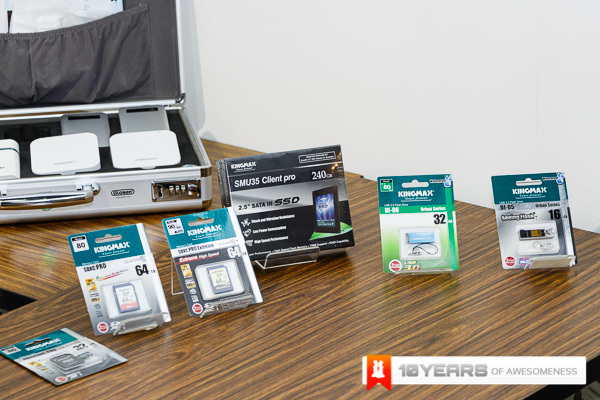 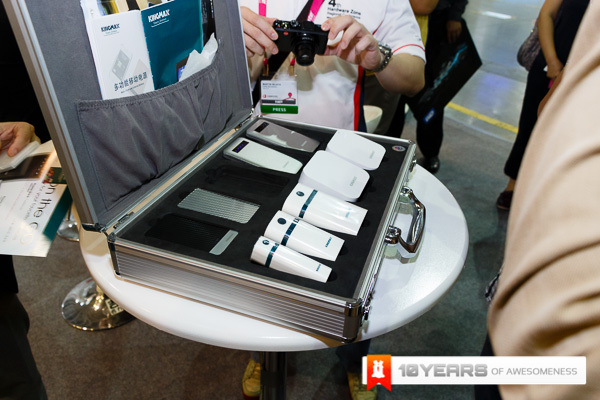 On top of the powerbanks, Kingmax have always been concentrating on the industrial solutions, with a whole host of SSDs, mSATA SSDs, eMMC and eMCP solutions and Industrial level DRAM, SD and CF Cards.